Alexa may soon follow you outside your house and into your hotel — on Tuesday, June 19, Amazon unveiled Alexa for Hospitality, a version of the Amazon Echo designed for hotels, resorts, vacation rentals, and other travel destinations. 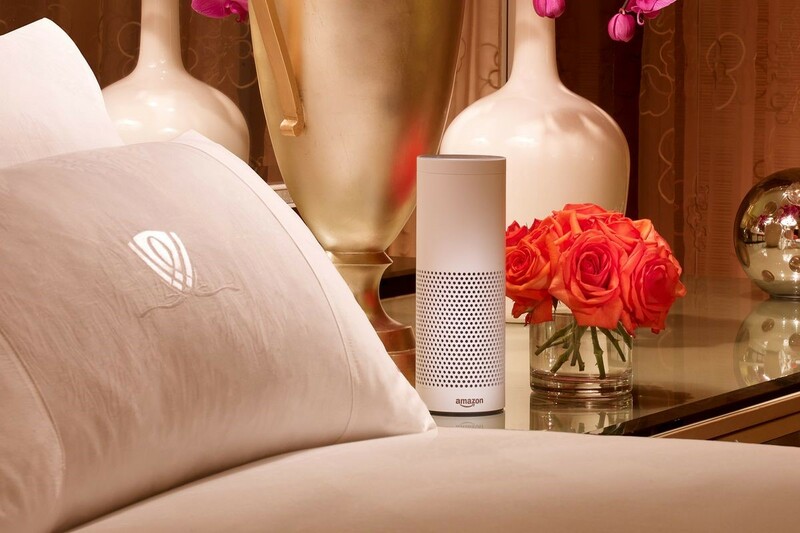 With the new program, guests can use Alexa to order room service or ask for more towels, while travelers with an Alexa device at home can connect their account to access their own music and audiobooks. The service uses the existing Echo device and gives the personal assistant a few new features designed specifically for hotels. But for travelers, the new Alexa means using voice control instead of a call down to the front desk for amenities, concierge, or even simple questions like asking what the pool hours are. Alexa can also play music when requested by guests. Like the in-home Amazon Echo, the device’s capabilities can be customized by downloading different Alexa skills. Hotels can allow Alexa to control the lights, thermostat, and TV with other smart devices, while Alexa can also be programmed for other travel-friendly features, like asking Alexa about the wait at the airport. Since these skills are custom downloaded, travel destination can customize the voice assistant to each location or brand. 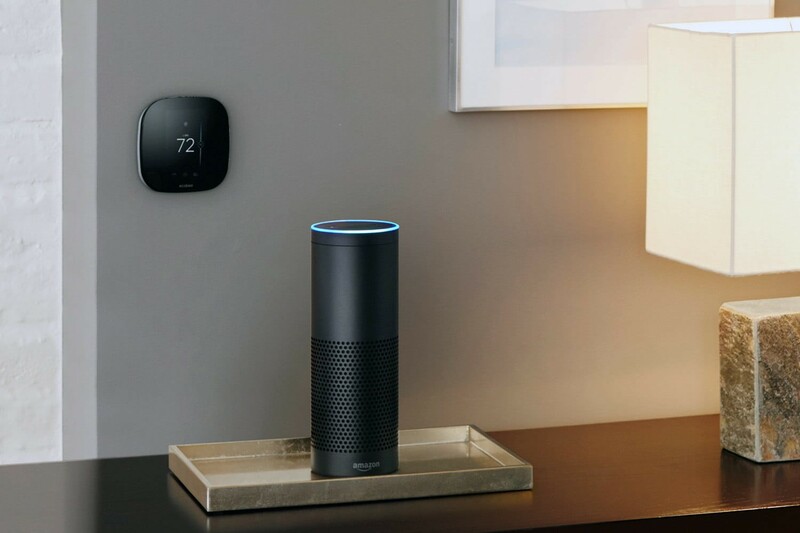 Alexa will also give the hotel feedback through analytics, which Amazon says will help the program improve based on the feedback from different guests. While the hotel owners can give the in-room Alexas different skills, travelers can soon connect an Amazon account to make the hotel Alexa feel a bit more like the at-home Alexa. In a feature that isn’t yet on the device but is coming soon, Alexa for Hospitality will allow users to sign in from their hotel rooms. Once logged in, users have access to the music and audiobook connected to the account. Amazon says that Alexa will automatically log off during the check-out process. The feature is coming first to Marriott International properties, including selected Marriott Hotels, Westin Hotels and Resorts, St. Regis Hotels and Resorts, and Autograph Collection Hotels. Some properties will get the travel-friendly Alexa beginning today, June 19, while other properties are rolling out the feature over the summer. Availability for hotel and rental owners is launching by invitation only. 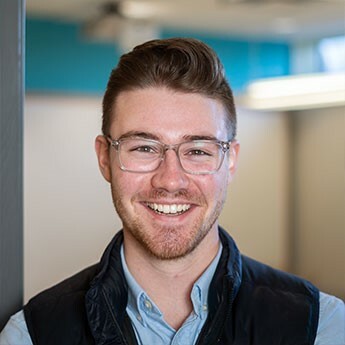 If you’d like to see if the full article, go check it out over at Digital Trends!